A few months ago (several months ago!) 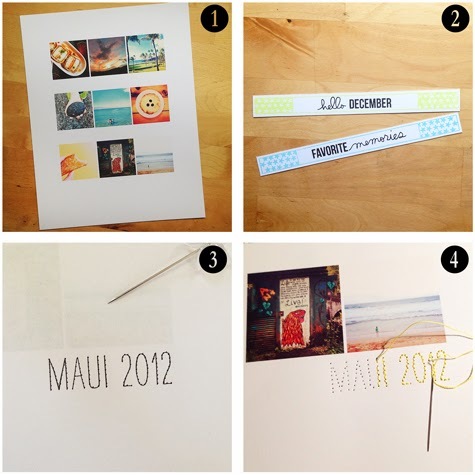 I created a few projects for Elle's Studio for their CHA-Summer 2013 lines. I've been meaning share, but alas, I'm not the best blogger... It's always a pleasure to work with Elle. 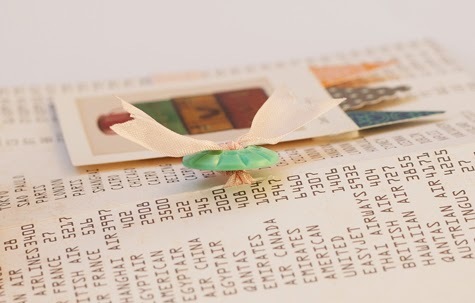 She's one of the nicest people in the scrapbooking industry! 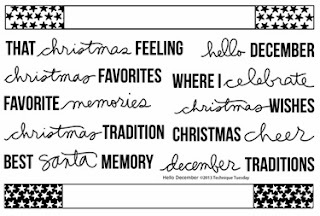 I created three layouts using their holiday line, Noel. Noel is not only a Christmas line, but also a winter line. Perfect even for those not-very-cold SoCal Winter photos. The other line I got to play with is Cameron. The colors are so fab! 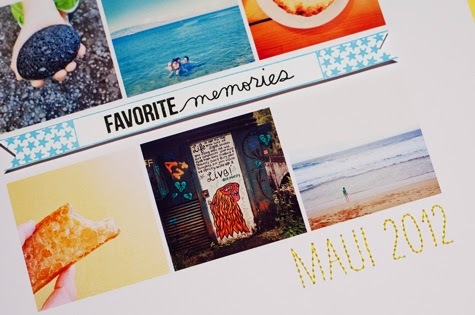 I love the bright yellow, with the shades of blue, green, grey, kraft, and orange. So good! I also used the Cameron Alphabet Stamp set for the journaling card. The arrows and stars are also from the set. I stamped some stars and used them as a guide for stitching, left some just stamped. Nothing like an alpha set. They are always my favorite! Thanks for dropping by today! Hope you again tomorrow and have a safe Halloween tonight! Hello there! Happy Monday! I have a few cards to share with you today. This first one featuring Technique Tuesday's I Give Thanks set designed by Teri Anderson. 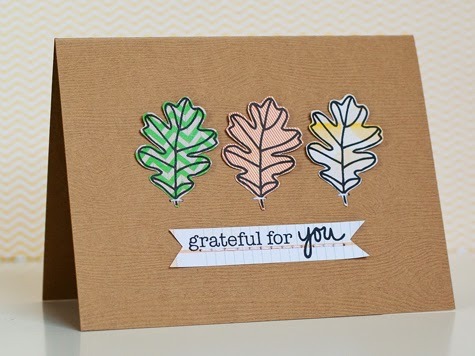 I stamped the oak leaf pattern on various patterned papers, fussy cut them out, and after they were adhered, I went back and added a little stitch around the stem area. The sentiment is also from the same set. 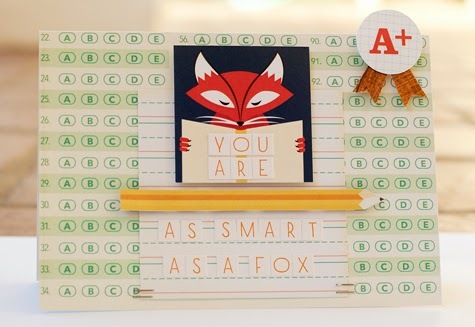 By the way, I love-love that woodgrain cardstock. 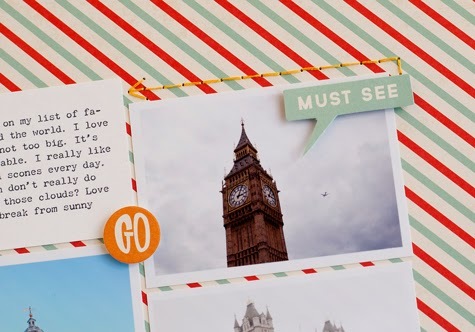 I picked a few sheets up from a store in New York called Paper Presentation, and now I'm wishing I had bought more. 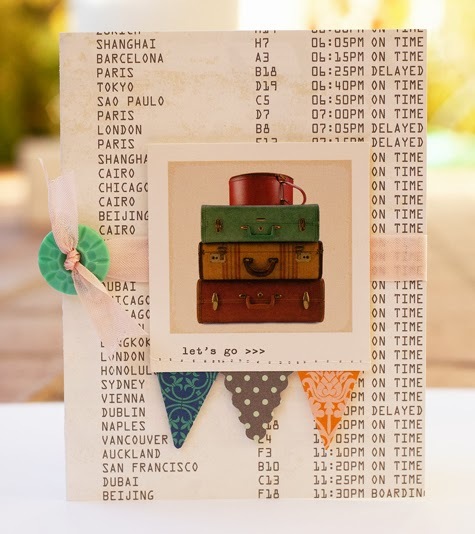 This other card features Away We Go, designed by Ali Edwards. 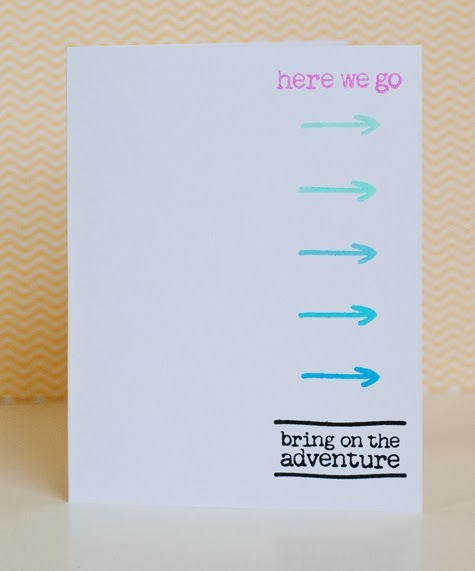 Clean and simple card using varying shades of blue, black, and pink inks and white cardstock. 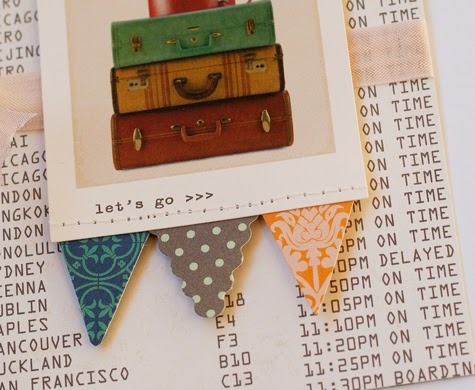 These stamps are so perfect for Project Life! This last card uses Petal Power, a set that's been brought back due to popular demand. Since this is Technique Tuesday's 10th year anniversary, they've been bringing back various sets that have been their bestsellers. You can see the whole range here. The individual petals are perfect for creating a flower, but I'm thinking they could pass as surfboards too, right? 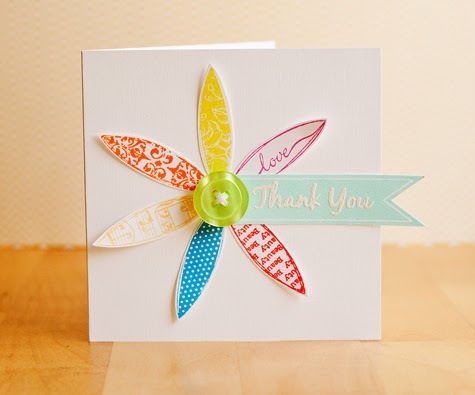 The Thank You is from the appropriately named Simple Sentiments set. Hello there! I guest blogged again at October Afternoon this past Friday, and here are the projects I shared. Easy to make cards. I really love the new Daily Flash lines they have. It's sized to go with a binder and page protectors, a bit like Project Life. The designs are so OA: whimsical, colorful, and fun. 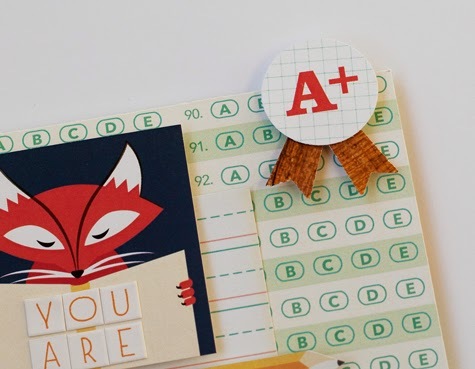 I made this "encouragement" card using the Milk Money range. I thought it would be sweet to give to one of my kids the morning of a test. 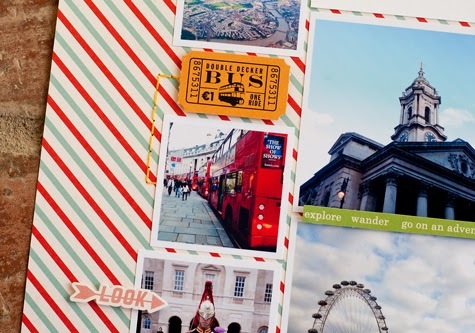 For this other card, I used Travel Girl. As soon as I saw that "Let's Go" tag, I knew it would make a great invite. 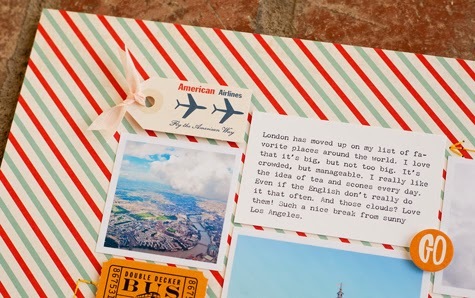 How fun would it be to give this to a friend and invite him/her along on an adventure? For more details on how I put the cards together, please visit the October Afternoon blog! Thanks for coming by! See you tomorrow for some Lawn Fawn projects. Happy Monday! This month, I'm the guest designer at October Afternoon. 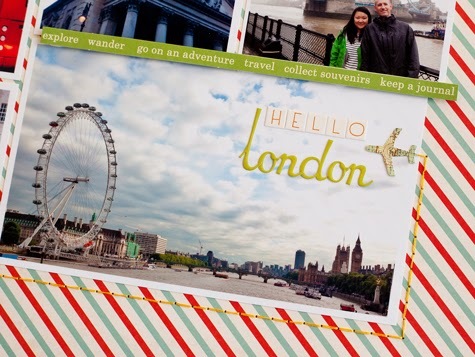 First up, this travel layout using Travel Girl. I love this line so much! 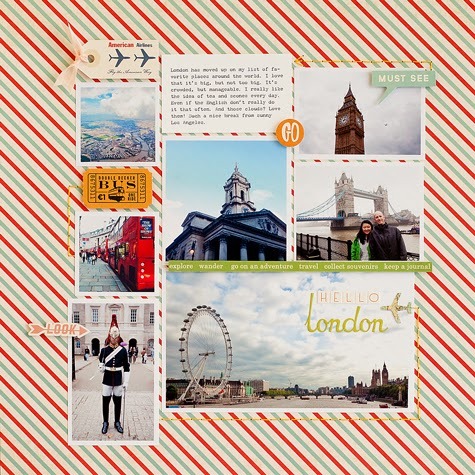 For this layout, I've used some of my favorite photos from my recent trip to London. 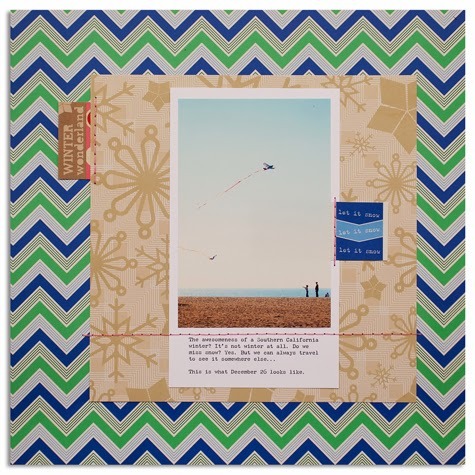 I knew I wanted to use the Subway Token paper with its airmail stripes. The colors are just right for these photos, and the stripes add the right amount of color and pattern without being too busy. 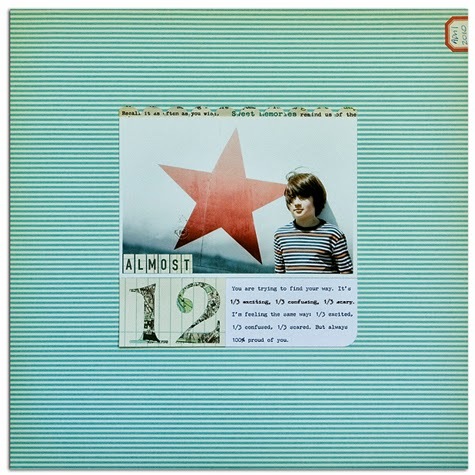 I knew I wanted the photos in a loose grid, in a general square-ish formation. Usually, I do a quick sketch using Photoshop, but this time, I just pushed the photos around until I was happy. Once I figured out the placement for the photos, I adhered them and set to work on adding the little details. The Doo-Dads, Miscellany, and Shape Stickers were perfect to add just the right amount of detail without overwhelming the photos. I got lucky with the "double decker bus" ticket (what else screams London more than the red bus?) and the American Airlines tag because that was the airline carrier I used! I used two different Daily Flash Alphas for my title. I'm a huge fan of titles in photos. For a finishing touch, I added a little bit of stitching in yellow. I used a ruler to poke holes into the paper, and two strands of embroidery thread to stitch. That's it for today, friends! I have two more projects for October Afternoon coming up. Thank you for stopping by today! Hello! 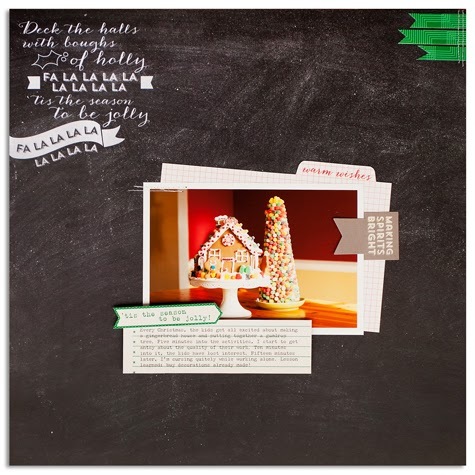 Welcome to the Technique Tuesday's October Studio AE Blog Hop! This month's stamp set is all about December. 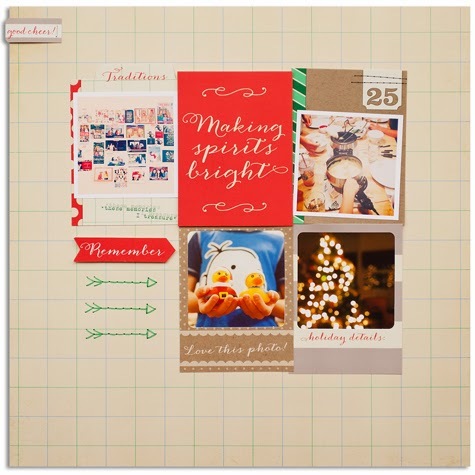 It's perfect for December Daily, cards and layouts about the Christmas. But not just that! 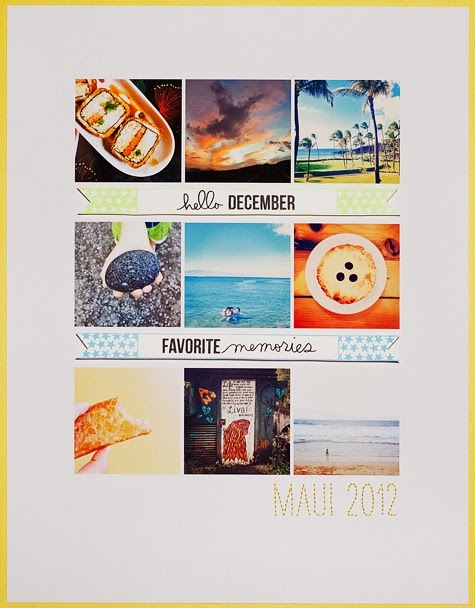 I created this layout about my family's trip to Maui last December. Totally not holiday related, but the stamps were perfect for it. I love using a grid for layouts. It keeps the layouts looking clean, and it takes the guesswork out of photo placement. This is specially good for photos that are sized the same. The photos for the layout were taken and edited with my phone. I posted them initially on Instagram, so it was very easy to pull them out of the phone, and create a quick grid in Photoshop. I then printed the grid on matte photo paper (#1). Because why cut and paste a bunch of little square photos one by one if you don't have to? I stamped the banner stamps with colored ink (Colorbox Pigment Ink) on smooth white card stock, and the sentiments with Versafine Onyx Black (#2). I cut those out as strips, but later on I changed my mind, and ended up notching the ends. I used pop-up adhesive to attach them to the layout. To create the title, I printed it on regular printer paper, and used it to pierce the holes onto the photo paper (#3). I used a single strand of yellow embroidery thread to stitch the title (#4). When I was done, I thought it needed a bit more color. So I trimmed off a little off each side of the photo paper, and added the yellow cardstock to the background. Do leave me a comment for a chance to win a $25 gift certificate to the Technique Tuesday store. The winner will be announced October 15th on the Technique Tuesday blog. And don't forget to visit the other blogs on the hop for more chances to win. Thanks for coming by! Today, I'm super excited to share that I'm the October Guest Designer at October Afternoon! I've been a huge fan of their products since the very beginning. 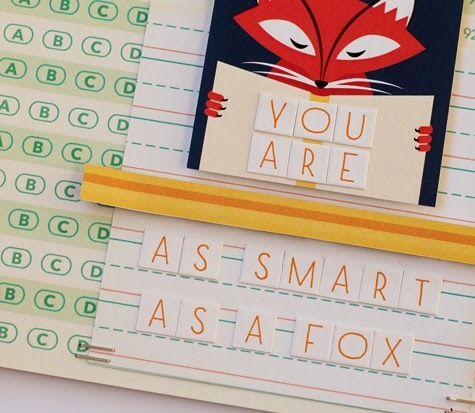 I love their combination of great color, classic design with a twist, and high quality paper. My gig starts today and spans the month with posts on each Friday. I'll leave you with one of my favorite layouts of all times (featuring October Afternoon, of course). Have a great weekend!